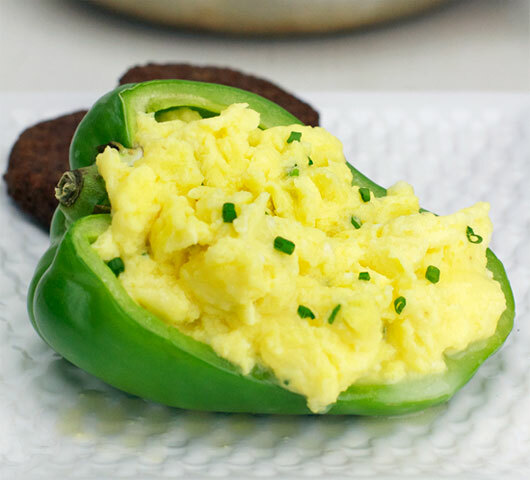 Blend together nonfat dry milk, water, eggs, cottage cheese, salt, pepper and chives. 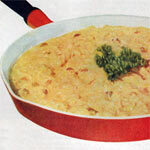 In a large skillet over medium-heat, melt butter. 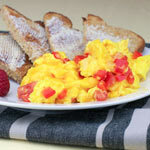 When hot, add egg mixture and scramble (stir often until the eggs are set. Serve immediately. 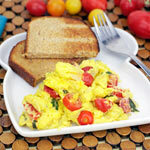 This scramble has a creamy taste and texture thanks to cottage cheese and dry powdered milk. The ingredients may seem unusual, but the end result is fantastic. 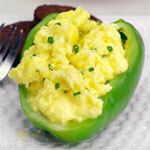 What do you think of Cottage Cheese Scramble? I used salt free cottage cheese, I brought these by accident and I noticed they are not as watery as the one with salt added. I used scallions in the place of chives and I added spinach. YUMM!! I, at first, thought this recipe was too watery during cooking which led me to cook it for a long time and it turned out rubbery. Ommiting the water didn't do it justice but straining the cottage cheese in a coffe filter worked wonders and the eggs were great. Also, a little less cottage cheese makes it a little less dense. 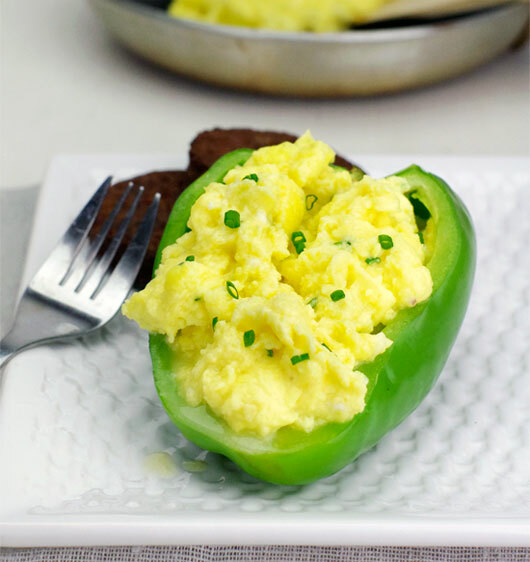 The cottage cheese adds a protein kick that I like without adding too many calories. And very filling! I don't even need the toast! What's up "Doc". 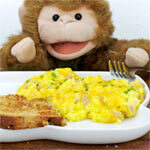 Most of our recipes are user submitted, so many are missing that info. 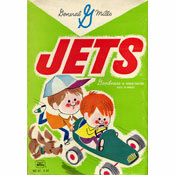 I'm working on getting more nutritional information. Please stay tuned. List the calories and carbs please.